Outstanding volunteer passed away Oct. 4. Co-owner of V&P's Topsoil & Landscape Supplies in London, Ont., passed away Dec. 30, 2018. Ivan Sparling Stinson entered into eternal happiness on October 4, 2018. Ivan was the cherished husband of Margaret (nee Bolger) for 66 years, loving father of Ross (deceased 2010) and Lisa (Brock) Crawford and dear grandfather of Rebecca (Mark) Degani, Victoria (James Edwards) Stinson and Laura Crawford, and great grandfather of Claire and Neil Degani. Ivan was the dear son of the late Jean (Sparling) and Reuben Stinson, loved brother of the late Helene (deceased) (Robillard) and Nancy (Ross) and infant Constance Mae; brother-in-law of Roger Robillard (deceased), Harold Ross (deceased), Walter (deceased) and Ann Bolger, Mabelellen and Bill Humphries (deceased), Lorne and Cindy Bolger (deceased) and William Ross and Jean Bolger. A celebration of life will take place on Sunday, October 14th, 2018, at 1:30 p.m. at the Arboretum at the University of Guelph. Arrangements entrusted to the Wall-Custance Funeral Home & Chapel, 519-822-0051 or www.wallcustance.com. In lieu of flowers, donations may be made to the Arboretum at the University of Guelph. 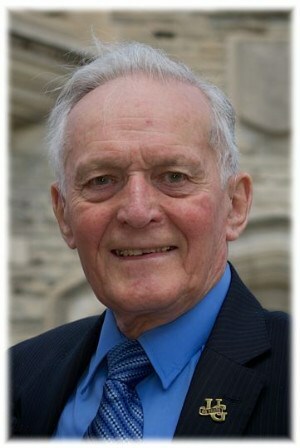 A tree will be planted in memory of Ivan S. Stinson in the Wall-Custance Memorial Forest, University of Guelph Arboretum. Dedication service, Sunday, September 15, 2019 at 2:30 pm.